At Whirley-DrinkWorks! we are committed to creating compelling food and beverage products that will delight your customers and fuel your profits! 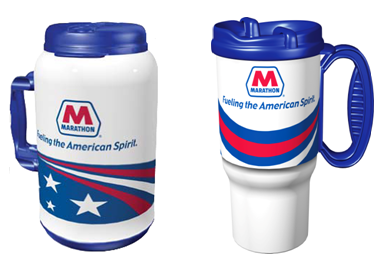 We can provide a variety of branded insulated mugs and carmugs for your business. We can have the products you need for strong refill promotion covering both coffee and fountain drink applications.